Tiger Woods hadn’t won a major championship since the 2008 U.S. Open. That legendary playoff win as he limped around and gutted out a victory at Torrey Pines over Rocco Mediate was both a pinnacle and ultimately led to his downfall, as injuries and personal issues torpedoed his career from that point on. 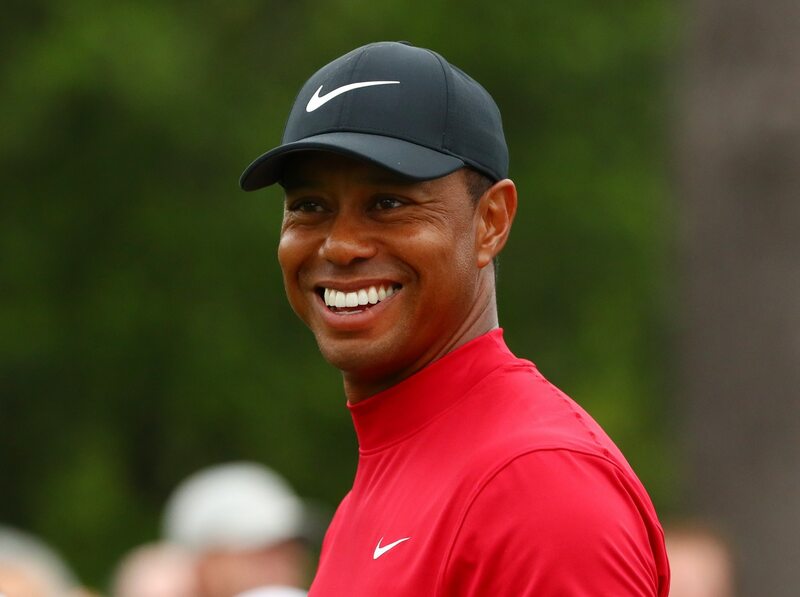 On Sunday, April 14 of 2019, Woods finally broke out of his slump with a victory for the ages in over a loaded field atop the Masters leaderboard at Augusta. Woods pulled away from the field with a birdie on 15 to move into sole possession for first place. Then, putting an exclamation point on his remarkable 2019 Masters, he nearly holed out on the famous par-3 16th. Woods had to “settle” for birdie here, putting him two shots ahead of the field. The crowd gave him one of his signature roars after his putt dropped. This got the attention of none other than President Donald Trump, among others. Woods cruised to victory, scoring a par on No. 17 and then a bogey on the final hole for the one-shot win. He was understandably emotional after finishing off the round and walked off the 18th green into the arms of his family members. It was an incredible scene anyone watching won’t forget any time soon. After more than a decade, Woods finally has major victory No. 15, just three back from the legendary Jack Nicklaus for the all-time lead. He also won his fifth Masters title — 14 years after his fourth — and secured career victory No. 81. What’s even more special about this one is that it’s Woods’ first major championship win in which he did not have the lead after three rounds. His remarkable resurgence this year at Augusta was a treat to watch, and the sports world was enamored by what Woods accomplished. So it turned out that Tiger Woods was the next Tiger Woods. He’s officially back, ladies and gentlemen. Now we can truly talk about whether Nicklaus’ record of 18 majors is in jeopardy of falling.